Damon Albarn's the Good, the Bad & the Queen supergroup released their sophomore LP Merrie Land last year, and now they've delivered a video for album cut "The Truce of Twilight." The clip was directed by the band's Paul Simonon (formerly of the Clash), and it was shot using three iPhones simultaneously. 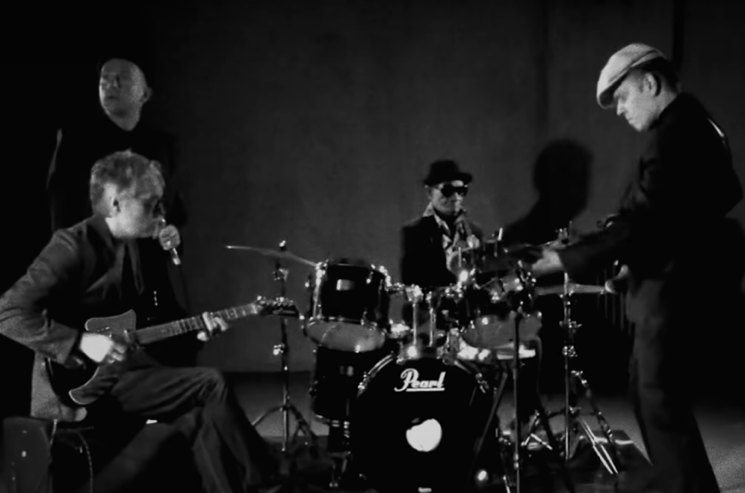 The result is a stripped-down, black-and-white performance video featuring Albarn, Simonon, Tony Allen and Simon Tong doing what they do best together. Check out the video for "The Truce of Twilight" below.